More often than not, we pick our clothes based on the weather, work, trends, and flattering silhouettes for our body type. But have you ever chosen to wear a piece of clothing based on your hair color? Probably not, right? Actually, spending some time to understand the colors that complement your hair tone can dramatically enhance your entire look. We’ve previously touched on the best colors to wear based on your skin tone here on Who What Wear, but today we’re honing in on the colors that look great based on your hair color. And not just any old colors. We're focusing on spring's biggest color trends. This way, you can stay entirely au courant while making a statement in hues that are right for you. For guidance, we tapped color expert and Executive Director of the Pantone Color Institute Leatrice Eiseman to share her knowledge of color combinations. 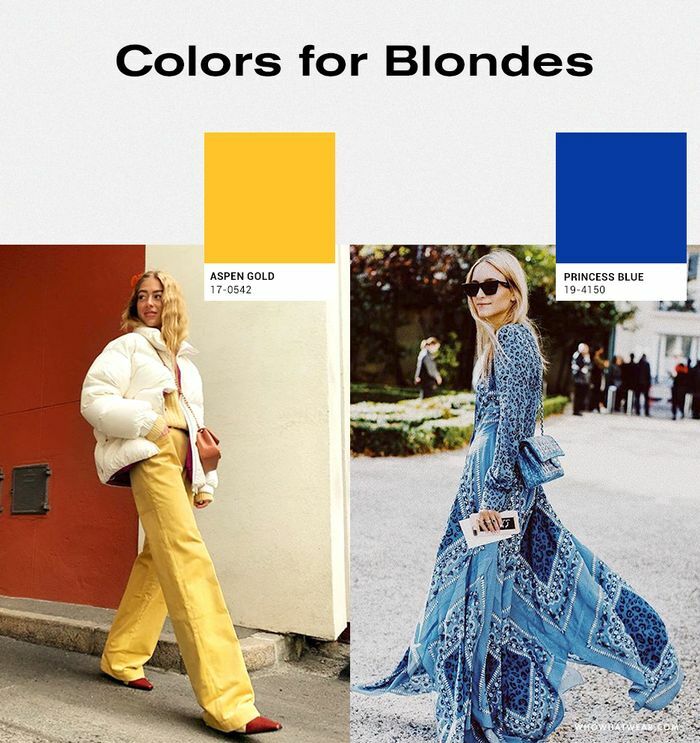 Scroll below for a guide to finding the best trending colors to wear according to your hair color. "Try a sunny Aspen Gold to give you a monochromatic, blended look with some touches of Princess Blue (royal) for complementary contrast." "Try a theatrical, hot Pink Peacock shade for some real drama, and couple it with a deep Toffee brown. A delicious combo!" "Pantone Color of the Year Living Coral is perfect for redheads, as it plays up the undertones in your hair. Pair it with a yellow-green Pepper Stem. It's a gorgeous combination—very emphatic." Up next, the best colors to wear for your skin tone.